Busy start to the week, its only Tuesday but we have been run off our feet! We don't normally have lots of cakes at the start of the week, most people seem to leave the celebrations to the weekend. I don't know what has happend this week, we seem to have cakes every day..............no pressure then! 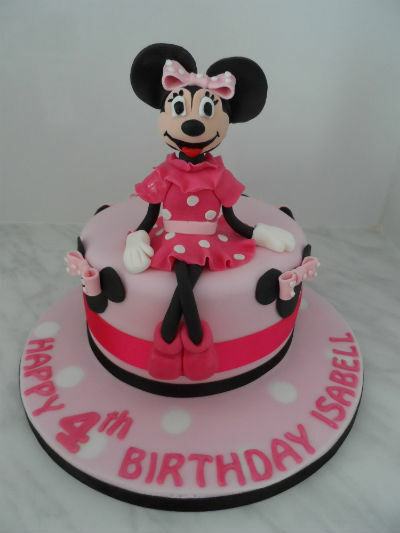 Yesterday we had a minnie mouse for a lucky little girl. Then today we had a fishing theme for a 40th, and a great cake for a a little boys 4th birthday.......Angry birds!